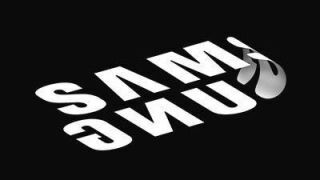 It’s no secret that Samsung is working on a foldable phone possibly called the Samsung Galaxy X. In fact, the company has even shown off the folding screen, but this was in an unfinished form, and the rest of the phone was hidden. However, we might have just got an official look at the finished device in a promo video. The teaser video was apparently briefly posted on Samsung Vietnam’s official YouTube channel, before being taken down, but - as this is the internet - other users saved it first, and XDA Developers has shared it. It shows – among other things – a handset that briefly looks like a normal phone, albeit one with almost no visible bezel. But then a moment later the phone is opened like a book, revealing that there’s a display on the inside as well as on the outside. You can’t see the full internal screen, but it likely takes up the full surface, making it more tablet-sized, and the device as a whole is slimmer than you might expect. Is this the real phone? Is this just fantasy? So could this be Samsung’s foldable phone? It’s very possible. The teaser itself is almost certainly a genuine Samsung video and the design of the phone looks a lot like the screen tech that Samsung previously demonstrated. Plus, Samsung is holding an event on February 20 to launch the Galaxy S10, so there’s a good chance the foldable phone will show up there too. However, the video also shows a lot of other devices that don’t currently exist and are unlikely to make an appearance, such as a completely bezel-free tablet, windows with built-in screens and a big door-sized screen controlled with air gestures. There’s the sense that many of these are concept devices or a look at a possible future, rather than things we’ll see in the next few months, so it’s possible that the foldable phone shown here is just a concept too. Still, it would be odd for Samsung to show a concept phone like that so close to the likely launch of an actual foldable phone, so there’s a chance this is the real deal. Hopefully we’ll know soon.